I’ve spent the past 3 1/2 years teaching myself how to start and run a retail store. Even with all of the business related websites and resources out there, I was surprised to find I still had to piece it all together. For a small and independent retail store owner I had to learn how to buy wholesale products, how to price items, how to market, how to set up a business, how to build and grow social media accounts, how to manage accounting, how to bootstrap, how to photograph products, how to build a website and all online aspects of running a business. Of course, I wanted to do this on a very small budget. I kept searching for a one-stop-shop to learn all of this. I kept hoping I would find someone’s blog detailing their bootstrapped retail store ownership journey. What I found were Facebook groups and information-overload for creative online entrepreneurs, websites filled with general business articles, and a variety of business podcasts. Don’t get me wrong, these were all helpful, but I simply couldn’t find ONE site that was tailored to me, the small shop owner; the little retailer; the independent business dreamer; the thrifty shopkeeper. So, here I am. Who is the Savvy Shopkeeper? Savvy Shopkeeper doesn’t refer to me specifically, but to anyone who wants and yearns to build a small boutique business of their own. It refers to current shop owners looking to learn more and grow. My sister and I started The Salvaged Boutique with just a blog and a few social media accounts. Within 18 months we found and signed a lease for our space. Six months later, we opened our brick-and-mortar store. In October of 2016, we celebrated our three year anniversary—with one year under our belts as shopkeepers—and I am proud to say we are debt-free. During this time, I found I am passionate about business-organization, automating a business with processes and systems, social media marketing and more. So, my mission is to teach small business owners everything I learned along my journey and to offer virtual services to any business owner looking to get some things off their plate. Want to learn more and engage with me? 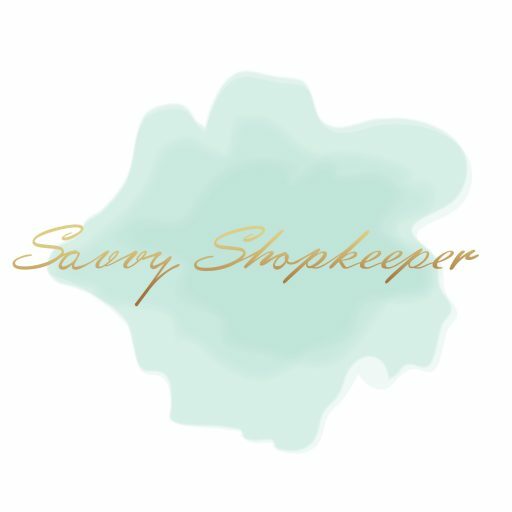 Follow Savvy Shopkeeper on Instagram or Facebook or sign up for email updates! Do you own an online shop or brick and mortar store? Join the Facebook Group – Savvy Shopkeepers where you can engage with a kind and giving group of shopkeepers.